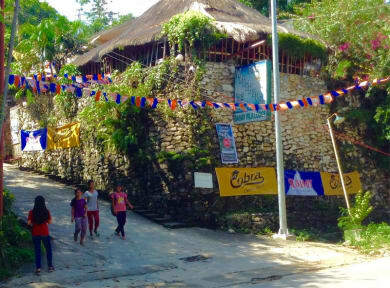 Bahay Isla Inn - Hostel Puerto Galera v Puerto Galera, Filipíny: Zarezervujte nyní! 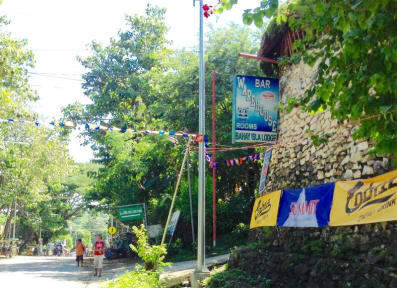 Family owned & managed Inn - Hostel situated on the crossroads of Baclayan Road and Nautical Hi-way, Sto.Nino, Puerto Galera, Oriental Mindoro, Philippines, Bahay Isla provides a Home away from home for World-weary traveller's . Nestled 30 feet above the main road, Bahay Isla is enclosed by marble walls providing utmost privacy from the upbeat & eclectic Tourist Town of Puerto Galera. Pocket gardens provide a setting for quiet tete-a-tete's . Cool waters of the outdoor Spa Rock-pool set amidst its gardens provides a refreshing dip after a hot day at the beach or a mountain hike.